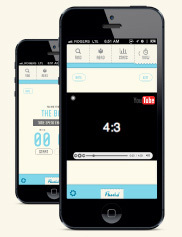 Advertise in Flushd | Get Flushd! Captive Audience. Innovative Engagement. Smarter Rewards. Fact: You're more likely to survive a plane crash than click a banner ad. 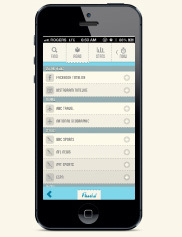 The is why we at Flushd have focused on what users actually want, need, and will use from the beginning. When partnering with us you will engage millions of the right people everyday without disrupting their experience. Take advantage of our innovative user captivation capabilities as we hold their attention throughout some of their most focused moments of the day. Business purveyors, Flushd is dedicated to helping you generate an ROI off "real estate" you previously thought was hopeless: your bathroom. Proper marketing of your facilities can drive traffic through your door and we can help you spread the word and track your success. Media buyers, have a bathroom brand and consistently find it difficult to find media tuned to your audience? Look no further. Our users are in-stall and focused on the exact situations you want to target. Getting the picture? Advertise with us and stop flushing your marketing budget down the toilet. Build off of our already 50 unique and sharable achievement badges. Our design team will incorporate your logo into the badge once the user has completed your requirements. They say timing is everything. Imagine feeling relief, only to find that relief rewarded with a coupon to purchase your goods and services. So John Smith just checked in and now plans to spend the next 4 - 30 minutes in your bathroom. Jane Smith unlocks your company's achievement badge. Send them a coupon. Entirely branded. 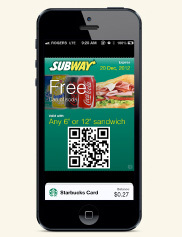 Updated in real time via Apple’s Passbook. We are in the information era. Big data is the app du jour. saving the earth by using your product. most likely going to need your product because they’ve now Flushd 13 times in 1 day. Sit down, hit START - Video Pops Up. Probably not the best place for a Lord of the Rings marathon, but commercials up to 15 seconds are great. If a picture says a thousand words, imagine what your video can say? Oh, and if they aren’t funny we won’t approve them. Let Your Brand Be A Beacon of Trusted Relief. 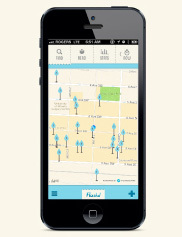 Sponsored Map Locations Show Consumers Bathrooms They Can Trust. Each of your locations will have your companies logo in addition to the screen where you “Set as Location”. In 1953 everyone brought a newspaper to the porcelain throne. In 2013 everyone brings Flushd. Have your website, blog, online magazine or RSS pre-loaded to in Flushd and promoted as our featured read. Could life get any better. We think not. Send us the URL of your mobile optimized eCommerce store to be featured as the exclusive store. Alternatively, submit a product to us and we will feature it in our shopping section. Launch your Game into Stardom. So you just spent your life savings developing the next Angry Birds, but only have 3 downloads. 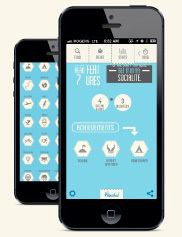 The Flushd Game Incubator provides a group of users who are extremely focused on making the most of their “downtime”. 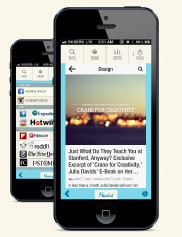 With reviews from users, the ability to post high scores, there is no way your new app won't hit the top 25.